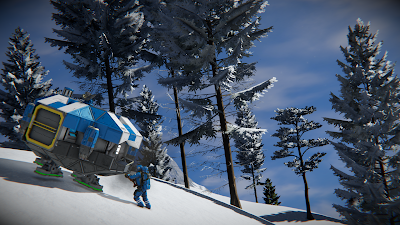 Welcome to Space Engineers in 2019! A lot of new and exciting things will come to light this year. 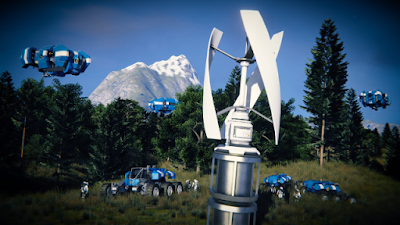 We are starting the year with the Steam Awards 2018, where Space Engineers was nominated for the Most Fun with a Machine category. Our game was chosen out of 26,000 games on Steam (according to SteamSpy), so I’d like to say a big thank you to all of our fans, for showing your appreciation. But more importantly, we are starting this year with the finalization of our next major release, the Survival overhaul. The Survival overhaul has been one of our top priorities, so it was specifically planned to be released after we had other key things finished. Over the last 6 years, we have carefully executed our original vision, which hasn’t changed. Moving step by step towards our vision, the survival overhaul is one of those steps. In addition to survival, many new features have been designed to help new players to be introduced to the game and are not specifically focused on existing players. I’m happy to share that the Survival update is almost ready for release, but before it will go live, we’d like to run public tests with our community. The public tests are planned to start on the 17th of January, 2019 (which is coincidentally my 40th birthday ☺), and will continue until you, and we, are satisfied with the results. The final moment will be the official release of the Major Overhaul of Survival. 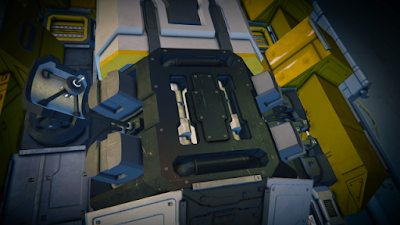 We plan to run three or more public tests and we ask you to give us candid feedback about the changes we have implemented in Space Engineers. Our team has been working on this release since July last year, so there are a number of new features, adjustments, and tweaks. We have touched almost every survival element. There are new blocks such as the Hydrogen Engine, Wind Turbine, Survival Kit, and Small Battery being introduced into the game. I’m happy to say that they are ready for testing. Apart from new blocks, there are other changes I’d like to highlight. We are renaming the Blast Furnace to Basic Refinery and we are adding a new spawning system, where we tried to eliminate the death traveling, which was very often misused in Space Engineers. Spawn options will now appear for each planet in the world. New spawn ships have been made to add new challenges and players will now respawn at their last used or nearest medical room or survival kit. We will be adding a world option for those who prefer the old respawn system. We have also added a progression tree to help new players get familiar with the game. The progression tree enables blocks in G-Screen depending on which blocks are already built. This feature is designed to prevent new players from being overwhelmed by options. The essential blocks are enabled from the start, the inaccessible blocks are greyed out. The groups of blocks can be unlocked when any of the required blocks are built by a player. The progression tree is enabled only for Survival mode, the Creative mode or space master disables progression tree. We have also updated the planetary and asteroid voxel textures to look more realistic (ore veins and blending with surrounding material), together with trees and vegetation, rebalanced locations and quantity of resources (ore) and updated in-game help. One specific area I’m really happy with is the introduction of new scenarios, which will give you new goals and objectives, as well as help new players learn more about the game. There are two polished scenarios, Learning to Survive and Never Surrender, which will give you some challenging tasks and I hope you’ll enjoy playing them. Besides new scenarios, we made updates to Cargo Ships and Encounters. We are also adjusting the game advanced settings, we are improving the localization system and Steam workshop integration. Additionally, there are small updates to PCU changes, game chat, building changes, and a new voxel generation system which helps to display voxels properly and make the LOD transitions smoother. With the new scenarios being introduced to Space engineers, the game now has new goals and challenges for players to explore. These scenarios are designed to help players progress through their Space Engineers career and challenge themselves once they feel confident enough to do so. They can be used to start new games and played repeatedly to test different strategies. These scenarios are nonlinear and how you approach them is up to you or your friends! We have also improved the Visual Script tool, which has fresh new icons and many features have been made much more user-friendly. With the Visual Script tool, players can create their own scenarios, their own appealing goals, and share them on the Steam Workshop. All of our scenarios are created in the Visual script tool, so they can serve as great resources to learn from. The Survival release is going to be another huge step for Space Engineers. Survival and something to do besides the sandbox. Sounds like it's going in the right direction, the only thing I'm missing is an overarching, scaling challenge to the game (maybe the scenarios can provide that for singleplayer, I'll definitely be looking out for the cargo ships and encounters). I'm excited to test the update, nevertheless a bit disappointed that it's not going to be released in january. Interisting, Im looking forward to seeing how it turns out. From what you've written, the progression system seems like it's tied to survival worlds. Is it going to always be part of them, or can we have a toggle? My q got answered in official stream. There is a toggle. 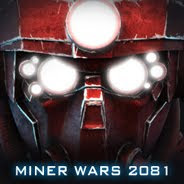 Im really liking these new things that will be introduced, but I hope that optimizations and improvements to the Multiplayer and Game Engine will continue; so that people can build bigger and more complex creations! Thank you so much marek for you and your team's hard work, once I get a computer. Space engineers will be the first game I play! Will there be randomly generated bases on planets/asteroids? Would be fun if they would spawn in any world instead of only easy start. Excelent. After 2 years hiatus on SE this is a good way to return. The new Content sounds great. I would love to see that you have to look for food and water in te future. An economy would really be nice to have. A trading system that works across all servers to let us buy and sell ores, materials, and blueprints with a physicalized currency that can be looted, stolen, lost, hoarded, and spent. Looking Good on the progress! I have been following KSH since I got SE a few years ago. Watching the changes and being apart of a great community is just awesome. Respawning at last used medbay or survival thingy... Does that mean if you die away from your ship and have used another medbay since you just can't get back to your ship without starting over and building a new ship? Can we next have a Railgun like in The Expanse ? Can't wait for this. I love the building in SE but without any goals or something to use my creations for or on(besides mining ships) I get bored really fast. I think adding weather to the game would help a lot toward survival mechanics. Imagine having to build a structure to survive a toxic storm and flying through a thunderstorm. That would definitely bring me back to the game. I still want a better small block/large block integration. Even Medieval Engineers has a really nice integration system. Why SE doesn't have this? I'm still not sure if logical block sizes are really necessary though. Only small blocks are enough I think. Small blocks can be as large as large blocks, so physical size is not a problem. And 25x25x25cm block sizes as in ME would enable more resolution in designs. 0.5m is not bad but still a bit large for small things. You do not listen to the community, while you are riveting the patch, empirion galactic survival is already a cut above. So far they have only 3 serious shortcomings: physics, damages and pipelines. The rest is the weather, and the NPC and food are diverse, water, full of blocks, they have everything. The rest is still normal for them to do. And if they eliminate the 3 disadvantages above, then "farewell." Add NPC (hostile and peaceful), let them tune in to the server, if you want to facilitate the system for multiplayer and that's it. Add the weather, too, with the settings and survival with food and water with the settings and everything, you're back in the top. When the death traveling is deleted now, will there be an alternative for fast traveling between bases with a large distance between them? Flying with only 100m/s takes very long, and jump drives only work in space. Maybe a teleporter block with a high energy consumption would be nice. Oh gooodddd, thank you for all team's members !!! Marek => please update the github for new source and if possible put the source code of Visual Scripting tool. TLDR: Add Cryo Bays to the Spawn List, add MedBay cooldowns, make Cryo Bays instant spawns if holds living/oxygenated character. It is really disappointing to me that you guys did not consider using Cyro Chambers as a solution to fast travel. I agree that the current death-travel system is wrong; I've always hated having to kill my character to get to different places on the map where things are happening. But fast-travel is a critical ability, even in survival worlds, and should NOT be considered an abused glitch. I have often wished that I could place my character inside a Cyro Chamber, which would then bring up the spawn menu prompt where I could select another cryo chamber for immediate respawn. The challenge is added by then making traditional MedBays have a cooldown timer (say 1 to 5 minutes) to spawn a new engineer. Cryo bays would provide instant reuse of a character, provided the Cryo Bay was powered and oxygenated and such. This solution maintains the best of both: Players can still fast travel, the Cryo Chamber is actually useful beyond saving character inventory between log-ins, and re-spawning is costly but still available. So, why not do it this way? Is fixing the wolf AI part of this survival overhaul? Maybe expose a little more about the mob system in the API so we can help tweak it more easily? its looking really good for you Marek! like the progress of my Favorite game! lol have a good day! "A world option has been added for those who prefer the old respawn system." Apparently this is incorrect and there is no way to revert to the old respawn system (according to Inflex). I have a suggestion. Visual scripting. Obviously for those of us familiar with ObjectiveC it isn't that helpful. But, a visual script builder would encourage lots of beginners to programming and beginners to space engineers to explore all the various advanced options available to them in this great game. There is a website that already does this, dco.pe but it would be nice to see it incorporated into the programming block directly. Please can you add an orbit system for planets and try to scale the planet to a real size. Thank you for reading this short comment (if I didn't write correctly it's because I'm French). Is this still a thing or are we stuck with boring 100m/s travel?